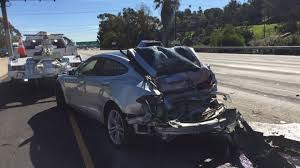 Autonomous vehicle appear to be involved in more rear-end collisions than any other kind of accident. The reason may be that the AVs are programmed to drive very cautiously and so stop unexpectedly because their Lidar (radar) systems pick up potential threats that human drivers recognize but the computers do not, causing the AV to stop while the human driver behind, having dismissed the issue, continues. Evidence suggests these vehicles drive in ways humans might not expect, and might not want them to. AVs make cars behind them more likely to hit them: driving herkily-jerkily, or stopping for no clear reason. It indicates a focus on safety: Better to stop for a fire hydrant than run down a preschooler. But part of being a good driver is behaving in a way others expect, which doesn’t include constantly stamping on the brakes. The runner-up of crash types is sideswipes, which appear to involve human drivers frustrated at getting stuck behind a slow AV, trying to overtake it, and not making it. GM’s Cruise has filed by far the most reports in 2018, but don’t read too much into that. If the pattern holds from 2016 to 2017 (we won’t have full 2018 numbers until early next year), Waymo has been dialing down its testing in California in favor of Arizona. Cruise has been ramping it up and does its driving in the chaos of San Francisco. Waymo has the second-most collisions, followed by Zoox, a startup that also tests in the city.